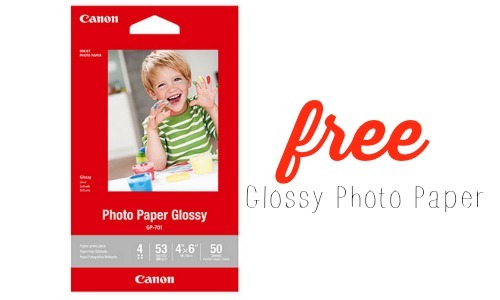 Today only 12/21, Canon is offering 50% off select Canon Photo Paper plus get B1G9 Free Glossy paper with code P161201RR at checkout. Even better, when you buy Glossy 4×6 Photo Paper 50 Sheet Packs, you will get a FREE Floral Photo Memory Box at checkout. Offer valid through 12/21. Shipping is FREE.